Colin Blackmore provides legal and compliance services to the firm’s European business. Mr. Blackmore serves on various firm committees including the risk, compliance, and ESG committees. Most recently, Mr. Blackmore held European General Counsel roles at LaSalle Investment Management and JER Partners. 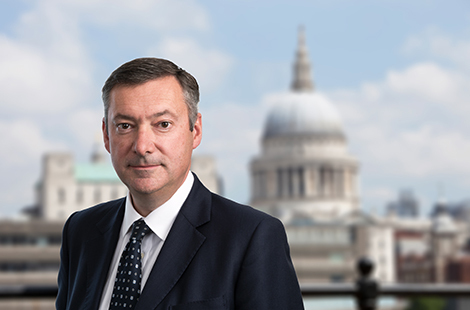 He has also held in-house legal roles in WestLB’s Principal Finance Group and as International Head of Transaction Legal in Nomura’s London office, where he focused on structured finance. Prior to that, Mr. Blackmore trained and qualified as an English solicitor in London at the law firm Slaughter and May. He received a B.A. in Classics from Cambridge University followed by two years of law school in the UK. He is a trustee of the British School at Rome.